Zak Bolland, 23, Courtney Brierley, 20, and David Worrall, 25, are accused of murdering four children in a house fire. Three people have pleaded not guilty in court to murdering four children in a house fire. Zak Bolland, 23, Courtney Brierley, 20, and David Worrall, 25, are all accused over the alleged arson attack in Walkden, Greater Manchester last year. Demi Pearson, 15, her eight-year-old brother Brandon and seven-year-old sister Lacie died in the blaze. Their sibling, three-year-old Lia, died in hospital two days later. Emergency services were called to the family's mid-terraced home in Jackson Street, Walkden, shortly after 5am on December 11. 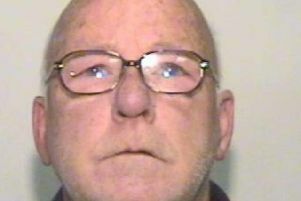 Bolland, wearing a blue T-shirt and Worrall, wearing a fluorescent yellow and green boiler suit, both stood in the dock at Manchester Crown Court surrounded by six prison guards for Friday's hearing. Across the courtroom, around a dozen members of the victims' family sat in the public gallery. Brierley, wearing a black bomber jacket, appeared via video-link from prison. Members of the victims' family could be heard quietly weeping in the silent courtroom as the charges were read and the defendants all replied "not guilty" to each count of murder. They also each denied a count of arson with intent to endanger life, the attempted murder of the children's mother, Michelle Pearson, 35, and two further counts of the attempted murder of two juveniles who cannot be named for legal reasons. Most of Friday's 40-minute hearing was occupied by legal matters which cannot be reported ahead of the trial of the defendants. A further administrative hearing will be held on April 27 before Bolland, of Blackleach Drive, Walkden; Brierley, of Worsley Avenue, Walkden and Worrall, of no fixed abode, go before a jury for a four-week trial starting on April 30 at Manchester Crown Court. Judge David Stockdale QC, the Honorary Recorder of Manchester, remanded all three in custody until the trial. The children's mother Mrs Pearson is believed to be still in a coma fighting for her life. It is not known if she is aware four of her children are dead.